With our Virtual Private Servers you will get exclusive dedicated resources to host your sites and applications. More capacity and unique resources for your organization. Super support: Neolo replies 7 of 10 tickets in less than 1 hour. All VPS Hosting include: Unlimited Domains, 1 IP, SSH root access, admin. MySQL and PHP. WHM & amp, cPanel optional at USD 15 / month. In addition, dedicated servers running VPS have 4 cores Intel Xeon Processors x 2.67GHz CPU burst. Web Hosting consists of the Neolo Internet server space so that your website and your professional mail accounts work 24 hours a day. Choose from the best plans in the world. Activate Cloudflare to achieve the maximum performance of your VPS Hosting. You choose the operating system of your VPS Hosting: CentOS, Fedora, Debian, Ubuntu, Gentoo, SUSE, ArchLinux, Scientific Linux or Slackware. Available through web or via app. For desktop and mobile devices. Blogs, forums, shopping carts, and all the MySQL databases you need. Your website showing up in Google, Yahoo and Bing search engines. 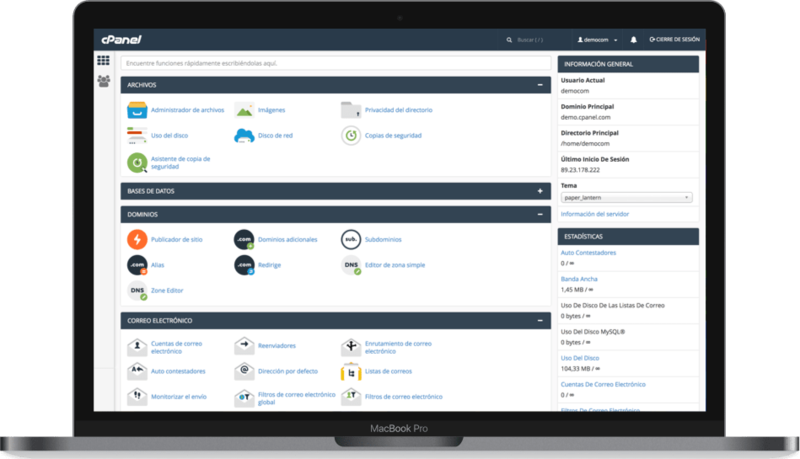 If you hire this control panel, you will be able to access from your mobile device to manage all your VPS. Security is our #1 priority. All emails and web content is scanned for viruses. You can make your own backups. This data provide critical insights about your website visitors. Websites running 24 hours at the best uptime in the industry. Servers are located in the US. 1-click install with Softaculous. Only 10 USD extra per month. Our migration team will move your website to Neolo, for free, if possible. Sign up to be a Neolo Affiliate and begin earning money right away! 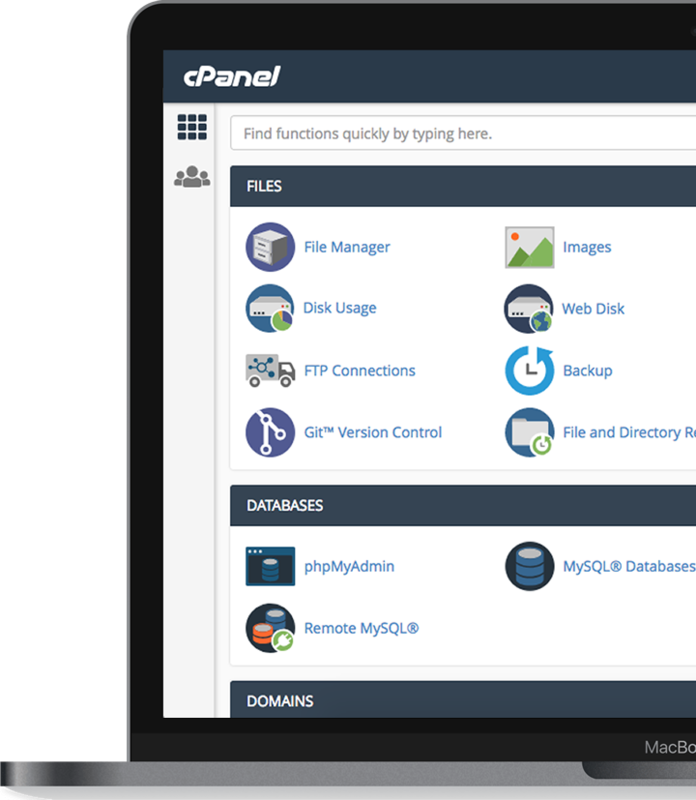 Optionally, with cPanel your clients will be able to manage their website, mail accounts and databases. Create email accounts, redirects, and webmail access from anywhere in the world. Password limits to access to certain parts of the website, hotlink protection, Leech protection and ModSecurity. Configuration of subdomains, additional domains, parked domains and administration of DNS zones. 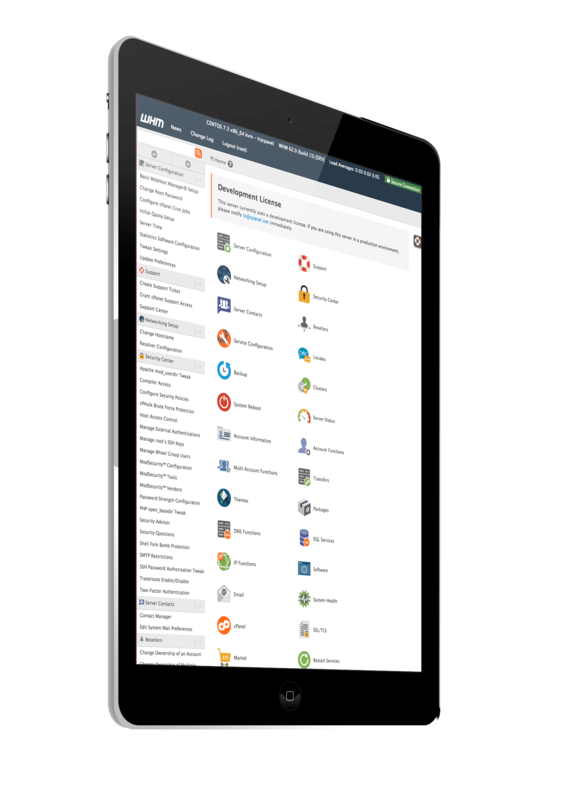 Installation of thousands of applications with only 1 click from the cPanel. Create and manage MySQL databases from phpMyAdmin. With WHM you create hosting plans, create accounts for yourself or your clients, access them and manage everything fast and easy. Distribute space, transfer, and features as desired. Then you can assign them to the new hosting accounts. With 1 click enter in any hosting account and manage everything with total control. Create email accounts, change passwords, modify FTP accounts, and more. With the WHMCS application you can automate suspension, key reset, and much more. Optionally, install Softaculous App and all users of your reseller plan can install applications with 1 click. Creation and management of MySQL databases from phpMyAdmin. All your clients will be able to have their MySQL databases. Why does Neolo suit me? We have been on the market since 2002. We have already helped tens of thousands of people and organizations turn their ideas and projects into 24-hour websites. We believe in the Internet as a basic need, as a human right, is what allows people to express themselves to the world and grow personally, economically and spiritually, that's why we want to be part of your project and help you to be online with your own name on the Internet . We have servers in several countries, customers throughout Latin America and unlike other companies, NEOLO.COM is still being serviced by its owners. We were the first provider in Latin America to offer unlimited web hosting in 2010. Our main investors are our clients, each and every one, who support us and allow us to continue growing with them. We want your project to grow and always work, so we want to be your web hosting provider in Argentina. VPS stands for Virtual Private Server. It consists of a server that uses physical resources from a dedicated server. A VPS has independently allocated RAM, CPU and disk space. VPS are used by organizations and businesses that require more capacity and personalization than a shared hosting. Yes. We monitor and manage all VPS servers. The cPanel administration includes: Web Server, MySQL, Incoming and outgoing mail server, and firewall. Additional applications must be installed, configured and managed by the customer or by a specialized technical support that is not included in the service. What control panel does VPS Hosting includes? We recommend that for only 15 USD per month you install cPanel and WHM. It is the leading white label control panel in the market. I'm at another provider. Can you migrate my VPS? In most cases yes, we can do a free migration. Ask us and we will analyze it right away. Can I choose the operating system? Yes, you can choose the operating system of your VPS Hosting. Can I choose how to configure the firewall, php.ini and customize all the services? Yes, exactly, it is the main advantage of VPS Hosting. Can I change the amount of CPU, RAM, or allocated disk space? VPS plans are the ones published and cannot be modified. Do I have root access over SSH? Yes, all VPS servers have SSH root. Will it be necessary to verify my identity to buy? For security reasons, in some cases we will need a personal identification to verify the identity of the person making the contract. The verification may be an identity document as well as links to social networks. Our greatest satisfaction is to make our customers ideas turn into reality. When everything works perfect, our work goes unnoticed, but yours shines. And that is what matters. I've my gastronomy website in Neolo, everything was quick and easy. We're customers since 10 years and we would choose Neolo again. We serve cookies We use tools, such as cookies, to enable essential services and functionality on our site and to collect data on how visitors interact with our site, products and services. By clicking Accept or continuing to use this site, you agree to our use of these tools for advertising and analytics.